impressive historical can UNESCO sites. 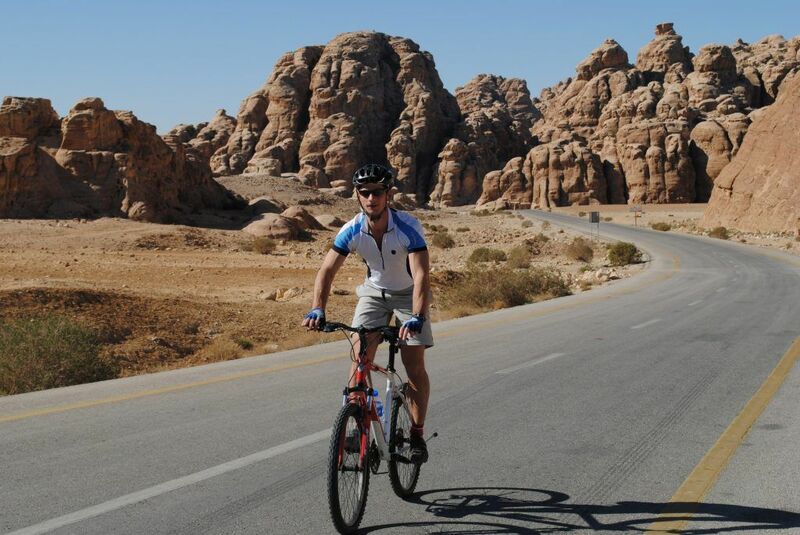 All about the Petra & Wadi Rum by Bike. The Kingdom of Jordan is the perfect place to combine a cycling tour with some of the best sites in the Middle East. 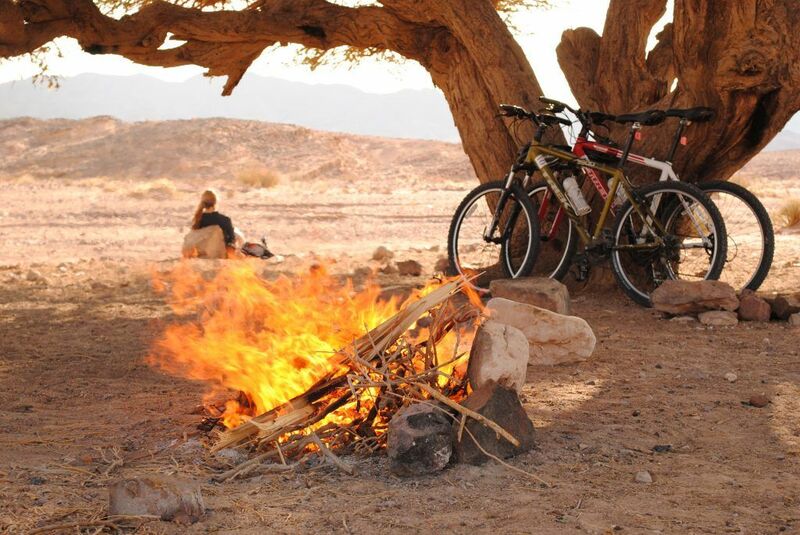 This bicycle trip takes us through olive groves and hill top villages in the north, while further south we will head along desert roads where the communities are sparse and nomadic and the landscape vast and spectacular. 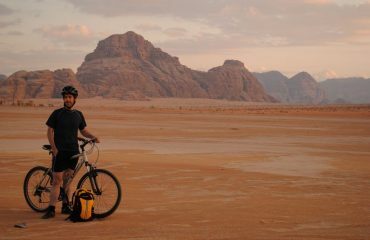 If the cycling alone isn’t enough to entice you, perhaps the UNESCO site of Petra, a night under the stars in the Wadi Rum desert or a float in the Dead Sea will tempt you to visit this fascinating country. 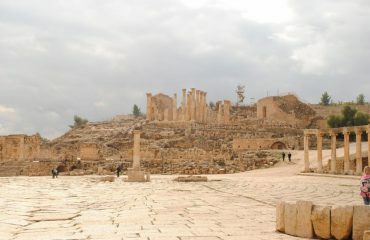 Day 2 Visit Jerash; ride/drive through olive groves and villages to Madaba. 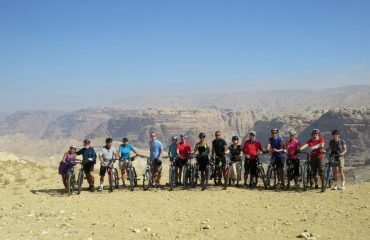 Day 3 Ride to Mt Nebo; exhilarating descent to the Dead Sea for a float in the saline water; drive to Petra. This morning we will wake up in Madaba, the ’City of the Mosaics’. 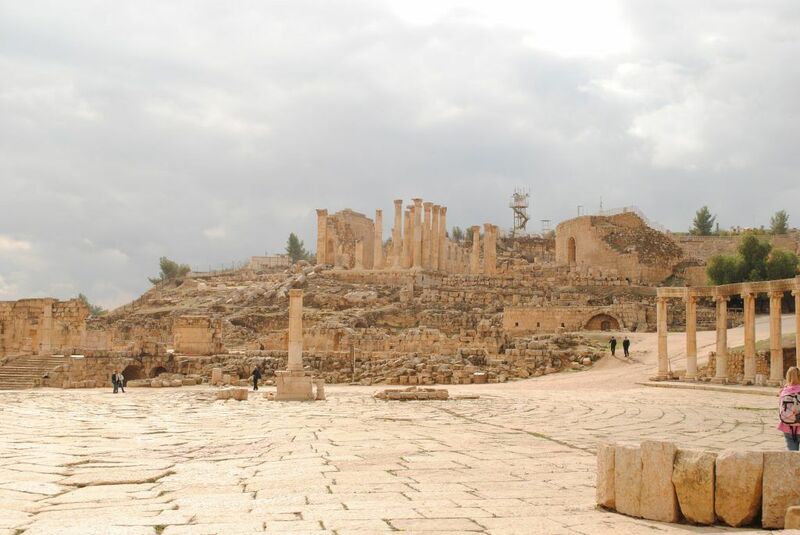 Madaba is the most important Christian centre in Jordan and is famous for its Byzantine era mosaics. 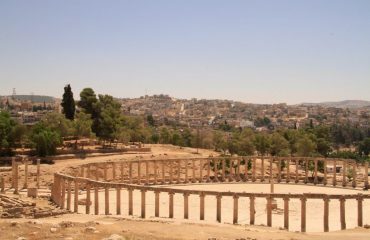 The most important of these is the 6th Century mosaic of Jerusalem and the Holy Land that covers the floor of the Greek Orthodox church of St. George. This morning we will have the opportunity to observe the mosaic and marvel at its detail and natural colour. 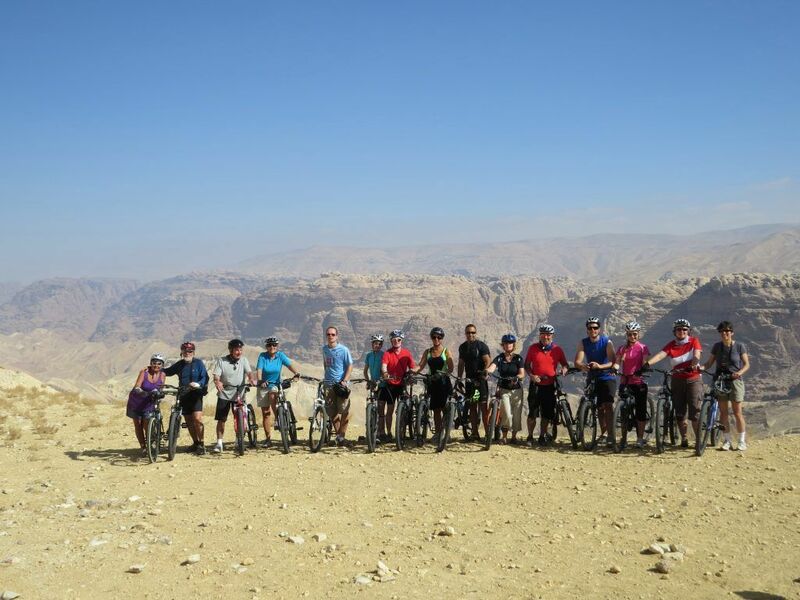 We will then have a very short transfer to take us out of the centre of town where we will be reunited with our bikes.Today’s ride starts with a 7km mild ascent up Mt Nebo. 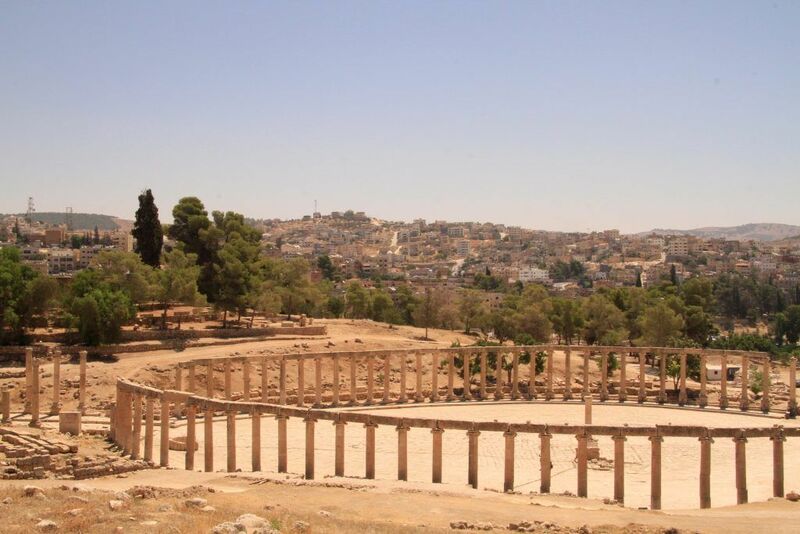 We will take a pit stop at the top of Mt Nebo, reputedly the burial place of Moses but certainly the site for a spectacular view over the valley below. 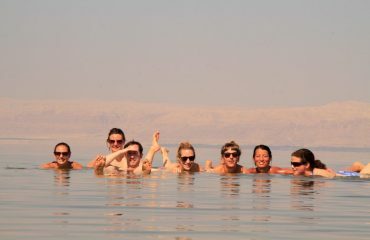 From here it’s a fantastic descent to the shores of the Dead Sea. 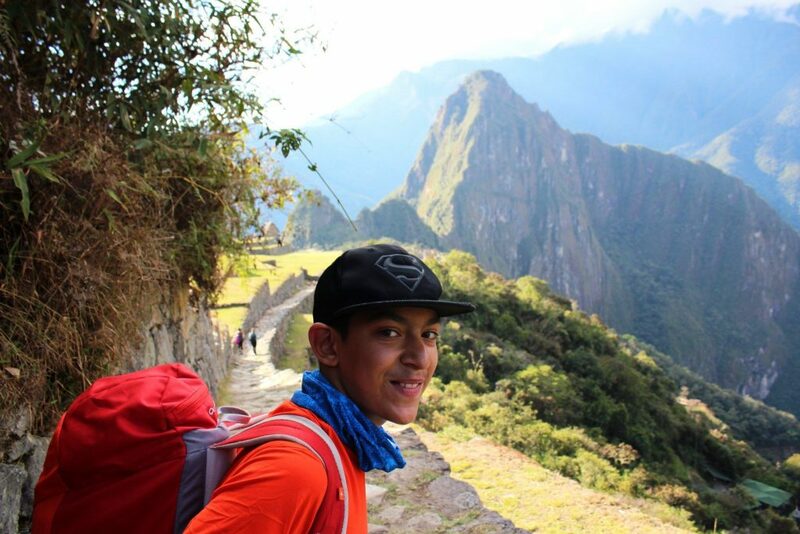 Parts of this descent are quite steep but support will be at hand and you can take your time. We follow the coast on a smooth tarmac surface to Suwaima where we can change and take a float in the famous waters. After a shower, it’s back on the bus for the long drive south (approx. 3 hours) along the Kings Highway towards Petra. 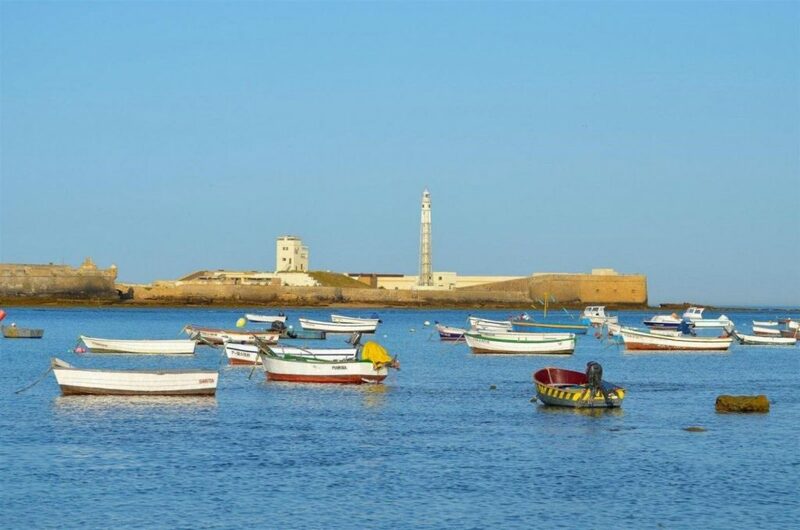 In many places the route is spectacular and there will be a couple of stops to admire the view on the way. 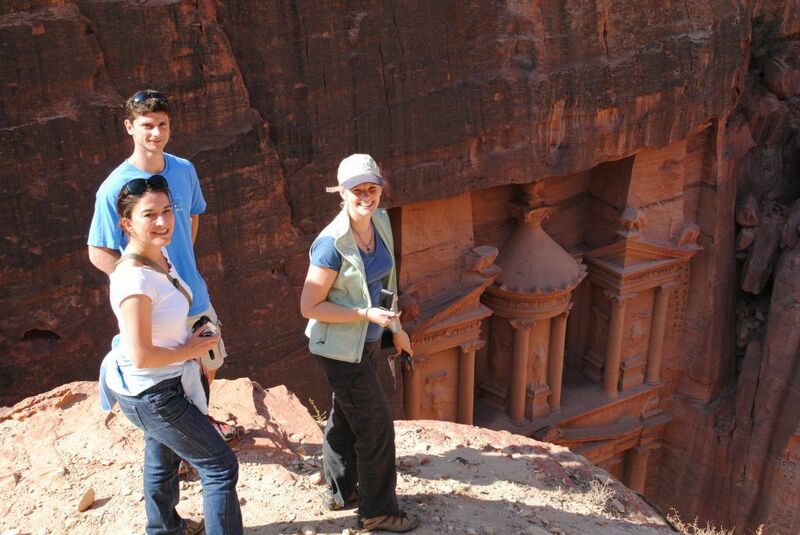 Day 4 Explore the fascinating UNESCO city of Petra. 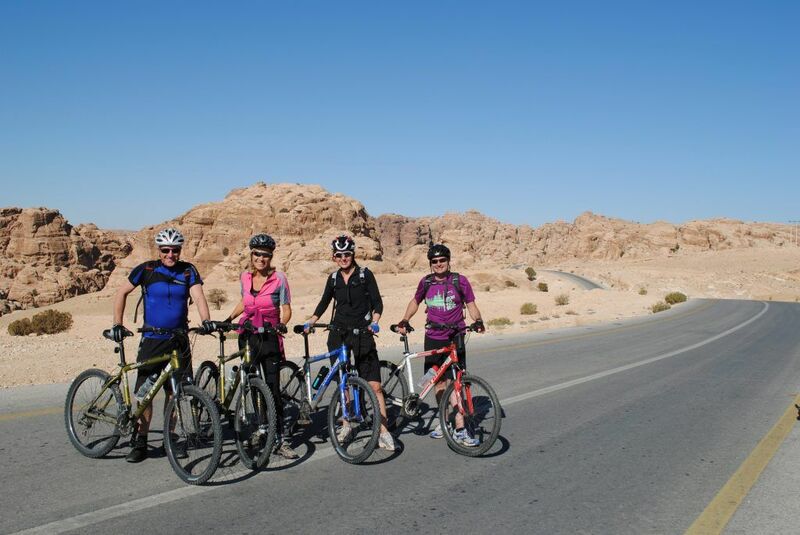 Day 5 Guided tour around Petra; cycle to Little Petra. 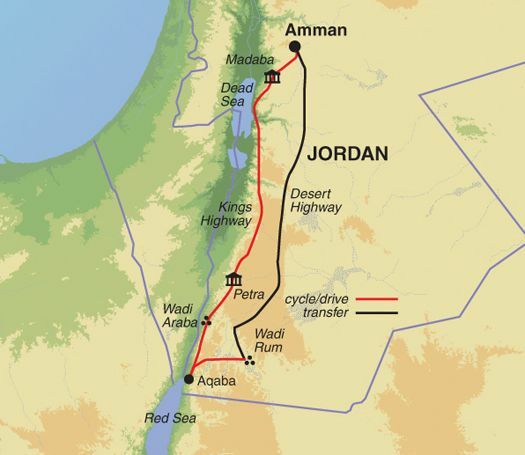 Day 6 Ride via Wadi Araba to Aqaba on the Red Sea. It’s an early start today to avoid the heat for our first real desert experience. After a short transfer to Tayba village, we begin riding mostly on tarmac to Ar-Rajif. 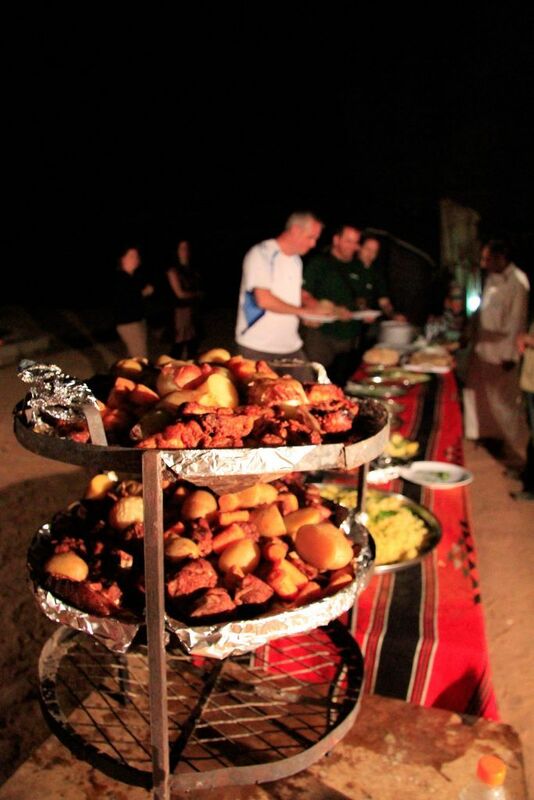 The road cuts through traditional Bedouin territory and is a seasonal stop for the nomadic shepherds of south Jordan so the chance of a local ’tea break’ are high! The road is in a good state of repair, with some sections having been recently resurfaced. However, parts are quite heavily potholed and there is a chance that sand and stones have blown across the road and make for a loose surface on top of the tarmac, so care should be taken. 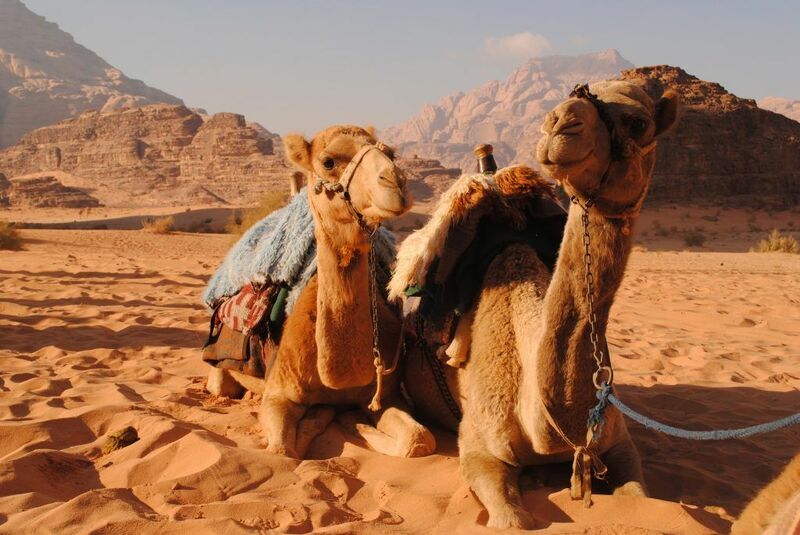 We head into the desert and follow the road down to Gharandal via Dilagha to Wadi Araba. There are a few ascents and descents on today’s ride and it is our longest and hardest day of riding. 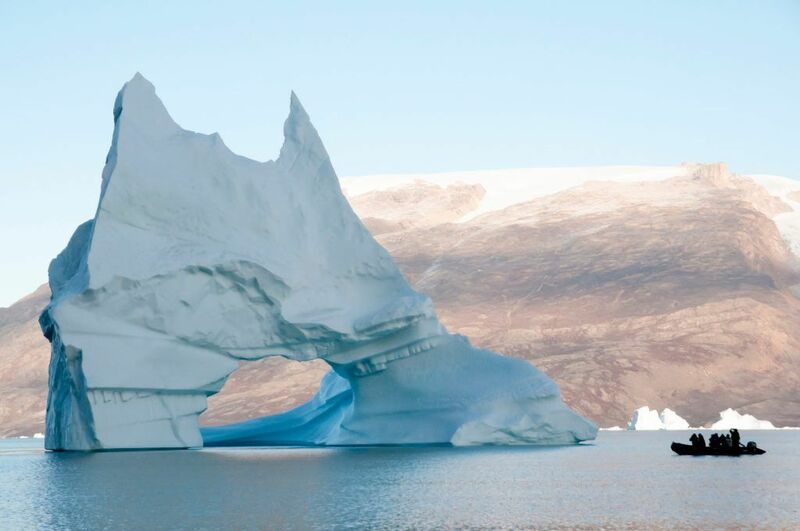 However, it is also the most spectacular and rewarding. The road takes you on an amazing journey through the desert and makes for a very satisfying day of riding. 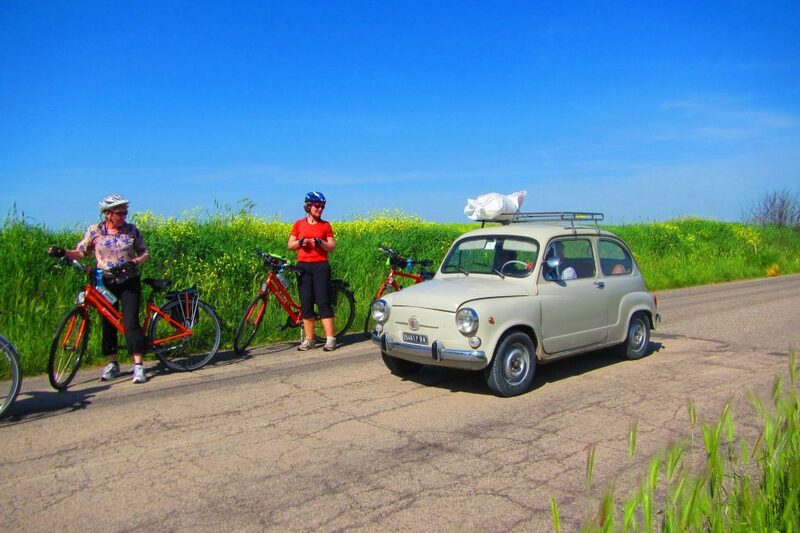 This day is all about the cycling allowing us to immerse ourselves in the landscape. 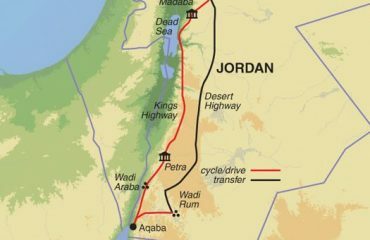 After our desert crossing, it’s a short drive to Aqaba on the Red Sea. 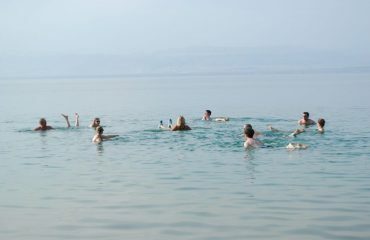 Day 7 Free morning to visit the beach, explore Aqaba or snorkel; afternoon drive/ride to Wadi Rum and camp overnight in desert. 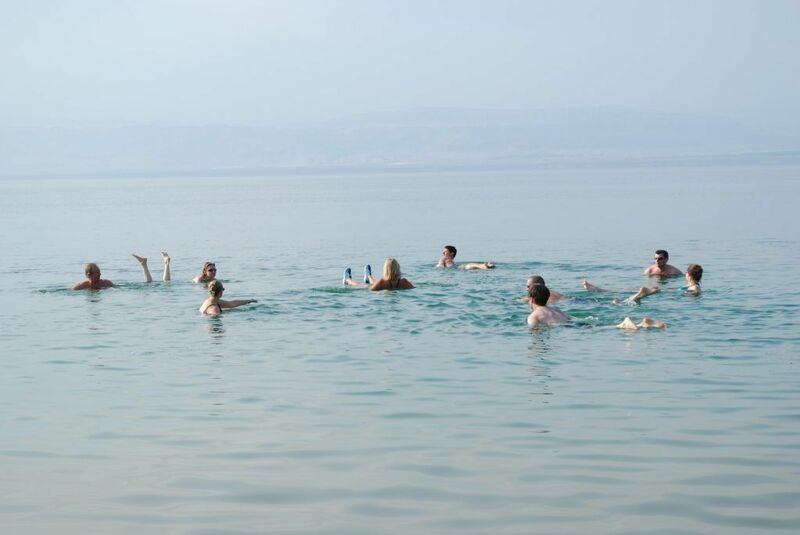 This morning we have free time to lounge on the beach, swim, or snorkel. The transport and entrance to one of the private beaches is included in your trip. 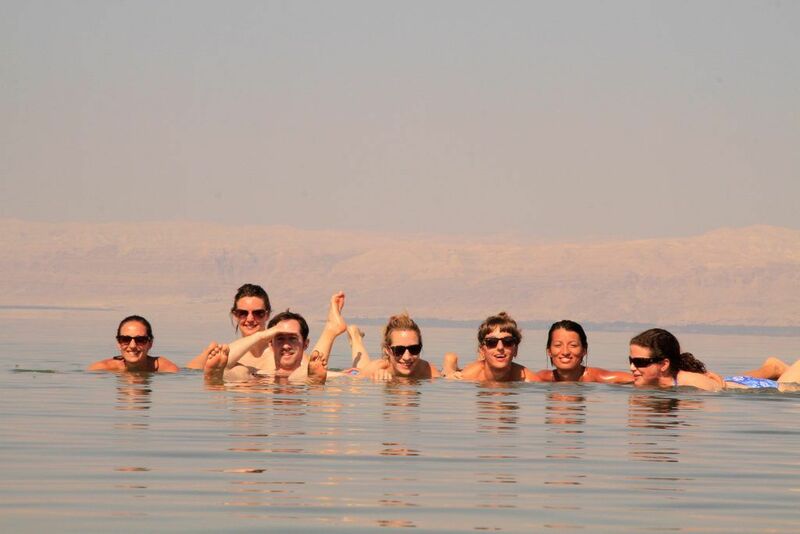 The hire of snorkelling equipment is extra to be paid on the day. In the early afternoon we will transfer out of town for around 45 minutes and then we will get on the bikes for the last time. 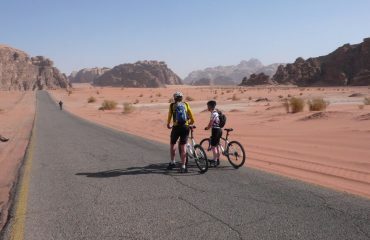 This ride will take us into the Wadi Rum on a relatively flat desert road. 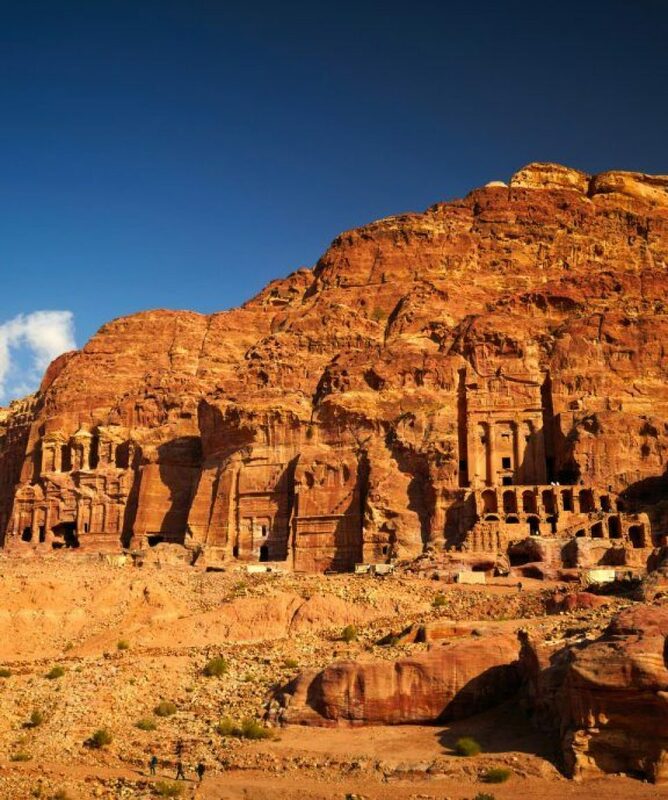 The desert scenery today is quite different to that experienced yesterday and will evoke a sense of more recent history than what we have been experiencing until now. 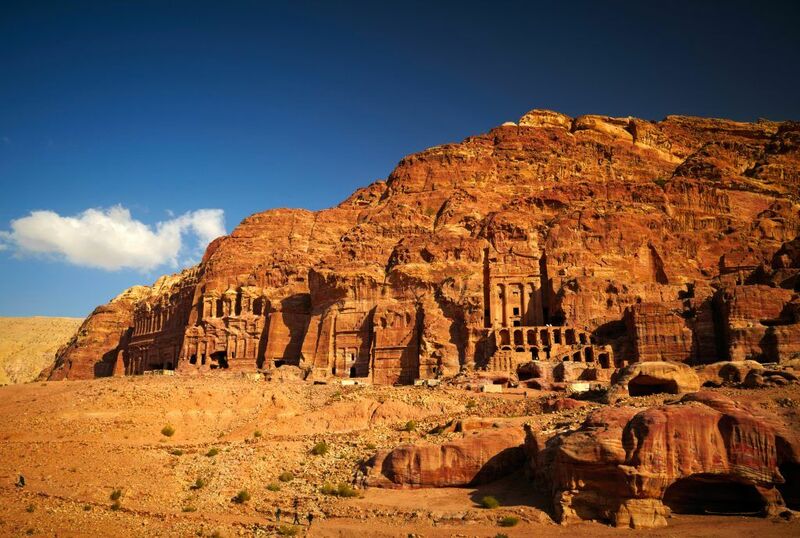 This is where Lawrence of Arabia and Prince Faisal assembled the Arab tribes for the attack on Aqaba in the First World War and also where sections of the film of ’Lawrence’ were shot. 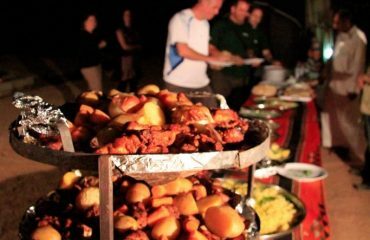 Tonight we will experience Bedouin hospitality with a traditional meal, sweet tea and camping out in goat-hair tents in the desert. We will be able to contemplate our week of adventure as we gaze up at the star-lit sky, warmed by a fire. If you like you can pull your mattress outside and sleep under the stars. Day 8 Morning desert drive into the Wadi Rum; drive to Amman.